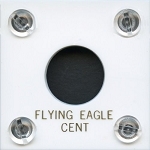 Capital Plastic Single Coin Holder #144 - 2" x 2" Screw together. 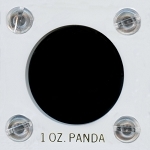 One of Capital Plastics Most Popular Coin Holders. 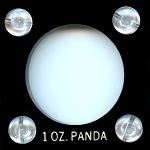 The #144 case is a 2" x 2 " three panel, screw together molded acrylic holder that has a black or white acrylic center with a tapered coin opening and gold descriptive print. 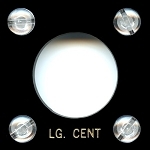 All standard coin openings for the #144 case holders are available from cents to dollars, odd type, classic gold coins and several bullion gold issues. 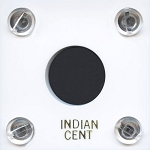 COIN OPENINGS: Capital has tried to ensure an accurate fit of most coins. 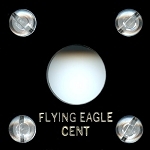 The tapered coin openings ensure a snug fit and grip the coin by a single edge only. 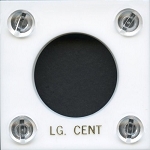 When inserting your coins, be sure you insert coins from the Text side of the center plate. 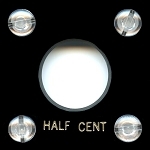 All coins vary in size slightly, +/-.003 in diameter, due to machine tolerances during the minting process. Pre-1900 U.S. Coins, Half Cent, Large Cent, The Bust Coin series, Early Silver Dollar and Gold Coins all vary greatly in size. 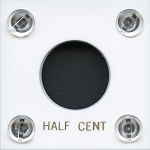 Please review the Millimeter size for the holder being offered as not all coins within an early coin series were issued with the same exact diameter. 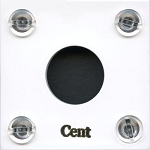 If the port on your holder is too small contact our office for additional details on how to adjust the port size to create a fit for your oversize coin using the Capital Plastic Coin Fitting Tool.